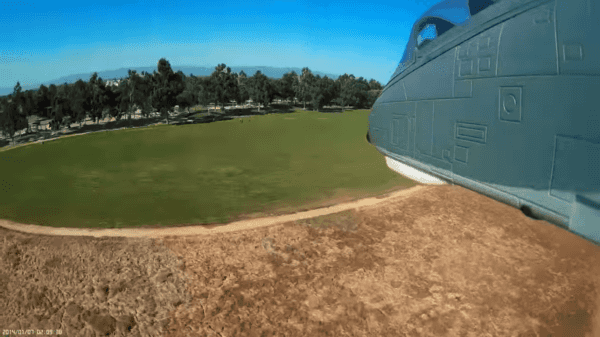 Check out this amazing remote-controlled miniature A-10 Warthog that launches miniature Nerf balls. The A-10 Warthog is one of the military’s favorite aircraft in the skies as it goes low and slow, obliterating enemies below. The full name of the aircraft is the A-10 Thunderbolt II and it is nicknamed the “Warthog” due to its unique and arguably strange visual appearance. This aircraft is beloved by the United States Air Force and has been an icon for decades as it uses a 30 mm anti-tank seven-barrel Gatling-type autocannon that can fire more than 4,000 rounds in a minute. It shoots so fast that it makes one singular sound that enemies will never forget. The A-10 features the GAU-8 Avenger cannon, which is over nineteen feet in length and comes in at a weight of over 4,000 pounds. The cannon is capable of shooting through the armor of tanks, which is one of the reasons why it is so massive. Make sure to watch the full video to see this mini A-10 in action. 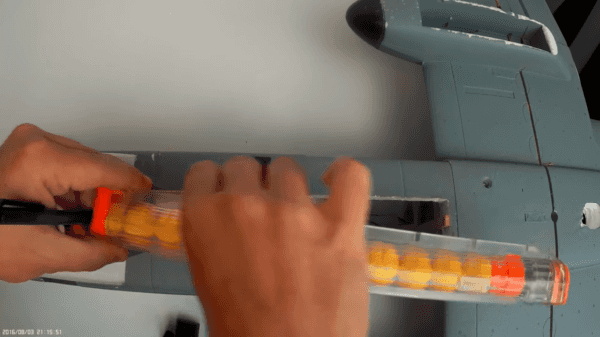 Firing out 12 Nerf balls in half a second is reminiscent of the speed at which a real A-10 could fire, considering this version is only a toy. It continues the legacy of the A-10 in a significantly smaller format and this is a near must-have for anyone that loves the A-10.